Public confidence in the stock market is eroding. An April Gallup study suggested that just 52 per cent of Americans own stocks, matching an all-time low and down from 65 per cent in 2007. With near-zero interest rates crushing retirees and savers, it might be hard to find a worse time for Americans to be sheltered in low-interest bonds and cash. Against this backdrop, the Securities and Exchange Commission’s (SEC) mission to “protect investors, maintain fair, orderly and efficient markets and facilitate capital formation” has never been more critical. Yet, right now, the SEC is considering a new rule that would destabilize electronic markets and further undermine public confidence in our capital markets. It must not take this route. The issue at stake is whether one millisecond is insignificant — or as the SEC terms it, de minimis — to electronic markets. As the rules stand right now, every exchange is required to make quotes available to the market “immediately,” meaning that no exchange can purposefully delay a quote. But one exchange hopeful — IEX Group, Inc. — is challenging this rule. IEX, whose founder was made famous in Michael Lewis’ Flash Boys: A Wall Street Revolt with his claim that “markets are rigged,” runs orders through an extra-long fibre optic cable that delays the market for 350 microseconds (there are 1,000 microseconds in a millisecond). That may seem insignificant, but it’s not. To the human body, one millisecond certainly doesn’t matter; it takes 30 to 40 milliseconds just to blink. Yet to electronic markets that move at the speed of light, one millisecond can make all the difference in the world. Consider this: in the fourth quarter of 2015, 13 per cent of all large stock quotes were canceled within one millisecond, according to the SEC. And more than 9 per cent of orders traded within one millisecond of posting. Added together, slightly less than one-in-four orders were acted on — all within a millisecond. It would seem as though that fact alone should tell the SEC that one millisecond is not de minimis. But to broaden this impact further, defining one millisecond as de minimis would also create a chain reaction that destabilizes markets. When buying or selling a security, investors are protected by Regulation NMS (National Market System), a regulatory framework adopted by the SEC in 2005, that the trade will be executed at a price that’s equivalent or better than the best advertised price on any of the nation’s exchanges, or the order will be routed to the venue with the best price. This works well in a system where each exchange is mandated to make quotes available as fast as technologically possible. But the system breaks down if quotes can be arbitrarily delayed at varying speeds — even if all within a millisecond. Imagine that, as an exchange, IEX has the best quote available in the market. At the time that an investor’s algorithm can see the displayed price quote, it’s 350 microseconds old, having gone through the speed bump at IEX. By the time that the investor is able to trade with the displayed IEX price, it’s now 700 microseconds old — meaning that using the SEC’s data above, there’s roughly a one-in-four chance that the order no longer exists at IEX, whether it’s been canceled or already traded on. Now, the investor’s algorithm has to go somewhere else, and that’s where things get even messier. If the IEX model for exchanges grabs hold, it stands to reason that other exchanges would add their own speed bumps of 200, 400 or 500 microseconds — all arbitrary times within the one millisecond threshold. In the scenario with multiple exchanges with delays, an investor’s algorithm wouldn’t know which quotes among the 11 registered exchanges were old, canceled or traded at the instant they sent an order. From there, one can easily envision a market where investor orders speed around the internet searching out these “ghost orders” — attempting to find market liquidity that doesn’t exist. The SEC’s IEX workaround, and the resulting domino effect of new market inefficiency, would impair price discovery and the potential overload of the system could cause systemic problems. 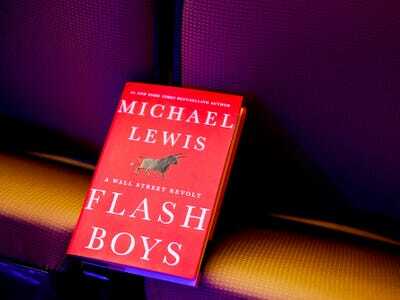 While Lewis’ book gave retail traders a handy bogeyman in Flash Boys, speed has been unequivocally good for all investors. In a 2010 letter to the SEC, Vanguard Group — arguably the leading advocate for long-term investing — estimated that high-frequency traders reduced costs by 1 per cent per year for every “round-trip” transaction. Over a 30-year time horizon, Vanguard calculated the impact to be returns that are 32 per cent higher. For investors with standard retirement accounts, that efficiency can make the difference between stable and unstable retirement. For the SEC to fulfil its mission, it must reverse its intended course and not alter its rules to fit one participant’s needs. It must continue to do what’s best for the market as a whole — and that means leaving speed alone. Keith Ross, Jr., is the CEO and Chairman of PDQ Enterprises, an alternative trading system.